David Bass is a guy with a *very* interesting history in internet marketing. He kicked off his internet marketing career with an explosive bang. He was one of the guys behind the StomperNet launch… the biggest internet marketing launch in internet history. Since then, David has done SEVEN 7-figure launches in a variety of niches. For David, it’s “go big or go home”. David’s “thang” is creating high-profile online product launches and promotions in the business, health and personal development niches. Forget 5- and 6-figure launches… That’s child’s play. 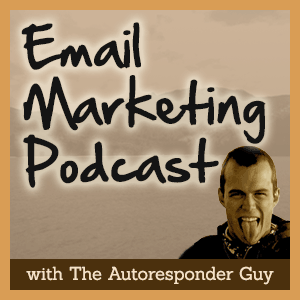 Listen to this Email Marketing Podcast and pave the way to your own 7-figure launch. do you need a personality to be the “face” of the launch?